TYAN offers a 1U 4x GPU (graphics processing unit) computing platform that is designed for High Performance Computing (HPC) and massive parallel computing environments. 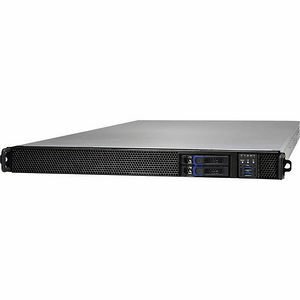 TYAN's GPU platforms range from 1 GPU up to 8 GPUs inside traditional 1U, 2U and 4U rackmount chassis, which help reduce the rack space requirements, required for high performance applications. With the right workload, these platforms can offer higher performance and reduce power consumption when compared to traditional CPU centric platforms. TYAN and NVIDIA have joined together to deliver a GPU computing platform that provides double-precision performance that is both cost-effective and energy-efficient. With support for NVIDIA Tesla GPUs, TYAN's GPU Computing platforms offer massively parallel compute power to solve the most computationally-intensive challenges.